DeShawn Franklin was asleep when cops stormed into his bedroom and attacked him. According to family members, officers didn’t have a warrant and didn’t ask permission before barging into the home and shocking, punching, then dragging 18-year-old Franklin out of bed. The incident happened about 2:30 a.m. on July 7, 2012, when Franklin and his parents were sleeping. Officers Eric Mentz, Aaron Knepper and Michael Stuk, of the South Bend Police Department, were looking for Dan Jones, Franklin’s older brother, after receiving a domestic violence call. The officers received information that Jones may have gone to his parents’ house, according to an internal affairs investigation report by the police department. Officers later apologized and were disciplined with written reprimands. 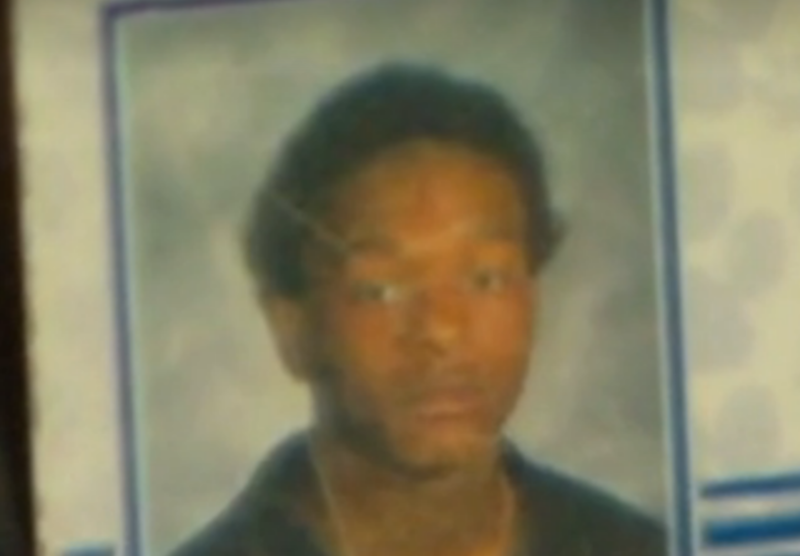 The 2012 incident led to a lawsuit brought by the Indiana family against police. The jury agreed that the Franklin home was wrongfully entered without a warrant by three white officers, violating the family’s rights. The jury decided, however, that the family’s rights were basically worthless. Although the jury sided with the Franklin family, the dollar amount awarded to them was a slap in the face. Each of the defendants in the lawsuit was only ordered to pay $1 each, totaling $18. Rev. Mario Sims told the Post that this sends a clear signal to black people that their rights are only worth $1. Since there were no “medical bills, lost wages, property damage, post-traumatic stress, psychological treatment”, the jury couldn’t find evidence to warrant the more than $1 million dollars in damages requested by the family, the Post reported. Now four years later, Franklin, who has no criminal record, lives in fear of police, says the family. So you don’t think this family suffered any type of mental anguish from having their home invade illegally, You don’t think this young man is not suffering from PTSD, OK I would like every single juror to experience this same treatment, as well as their youngest child. Then get back to me with the same decision!!!! At Least He Got Paid, I Took A Beating For Free ! He fought back saying he didn’t know they were police. When you start off with a lie there is no reason to believe the rest. They should have taken the 17 grand and stop trying to be greedy. This is an insult and a total disgrace of the justice system. .
That is what they are currently doing now to offset the heavy duty lawsuits the police seem to attract. It is their way of saving money based on the brutality of the police. This the second such judgement I have seen this week, the other was one dollar. They disqualify Black jurors to indemnify the system. I’d rather not be rewarded with any money at all that $18 just added insult to injury! Not bad for fighting with police. Sandra Hughes : You Being Disrepsectful ? The value of the life of a black man. Hope those jurors have a comfortable ride to hell on broken glass. Abdul Perez that’s sad. Sorry that happened to you. Sandra Hughes is that it? Thats the best you have is juvenile name calling? Now that sounds dumb coming from an adult that probably thinks she’s pretty smart.Thats too bad. Me Robinson – At Least You Undersand ! Brilliant and very original Curtis Thompson. I’m impressed with your ability to express yourself. Keep it up. Some people can’t have an opinion without being rude. 18 dollars is crap….they must have done something to piss off the jury. If you think a WHITE jury going to award a Black person their real share of monetary damages…you are still sleeping. They would award a WHITE person monetary of millions for spilling hot coffee on THEMSELVES before awarding you damages done to you. I know I sat on a jury before and the amount they awarded was ridiculous to those white people. Coonery & Buffoonery. Is that better ? Not much, but nice try. I got one question for you wordsmith and FB activist, instead of calling people names and complaining, what do you do in your own community to make things better? Do you get your hands dirty? Or do you just have a dirty mouth? What do you do? The one thing I don’t do is disrespect my own race in a useless attempt to be White. Feel me ? I asked what are you doing? You’re not qualified to say what I’m doing. You’re still stuck letting Caucasians control your thoughts and actions. Your still stuck believing in mans division by race. Who’s the fool? Anyway, are you gonna tell me what you’re doing to make things better? Or you got nothing? Curtis Thompson. Click bait, bye my negropean friend. Just what i thought. You stick to name calling and degrading the same people you say you love. So typical, anyone you don’t agree with, you try and discredit. You are the reason we have no unity. You’re the reason no dialogue can take place. But you want unity? I guess as long as its agreeable to you. Take care Curtis Thompson. Not bad for fighting with police! The result you wanted was the death of another black child. That’s the paradigm that puts order in your world. Your initial comment was offensive to anyone who’s sensitive about or cares about police abuse. If this is going over your head it’s because your suffering cognitive dissonance. Isn’t this from a while ago? Really a slap in the face. . And they wonder why some chose to retaliate. .
Amerikkka the head of the snake of white supremacy ! Was he shockedU0001f626 or socked? It seems as if he pissed off the jury.. My wife was on jury duty for a dog bite case, and they were going to award the guy money, but then he started really “laying it on thick” and played them for fools… so he only got medical expenses. First off 1million for a false arrest? Cmon man, I don’t make that working for 10yrs! It seems as if he could have gotten $18,000 but they got greedy, so the rolled the dice and lost.. When I read this I was in TOTAL shock! This is MAJOR BS. You know the jurors decide the amount that’s awarded right? So all the jurors were white? Thanks Bob Waldren, YOU’RE a good man! Lol he is trying to sound smart but cognitive dissonance is not something you suffer from. You obviously aren’t conflicted in your beliefs. …and what race of people constituted members of this jury? Bob Waldron, you caught too? I was going to hit Curtis Thompson up to congratulate him on putting together a coherent and thoughtful read. I would have to tell him he has misdiagnosed me. There is a point to my original statement, and i make if we could have gorten past the venom and name calling. But to your point, i may suffer from a few things, but cognitive dissonance is not one of them. You take care and God bless you. This maddness is outrageous……am I reading this right…. $18 bucks…..shame shame!!!!!! Sandra Hughes. Don’t waste yourself on this. He had a nice day today. He made a white friend with a automatic weapon. Sorry no automatic weapons here. Thanks for the stereotyping. There is your answer right there.